Honestly, when we see a rug we can’t live without, we buy it and then after it arrives on our front porch we figure out where it is going to go in our house. We have been known to go to extraordinary lengths (pun intended) to fit a new 8x10 treasure in a 6x9 space. Over time we have come up with clever ways to use rugs. 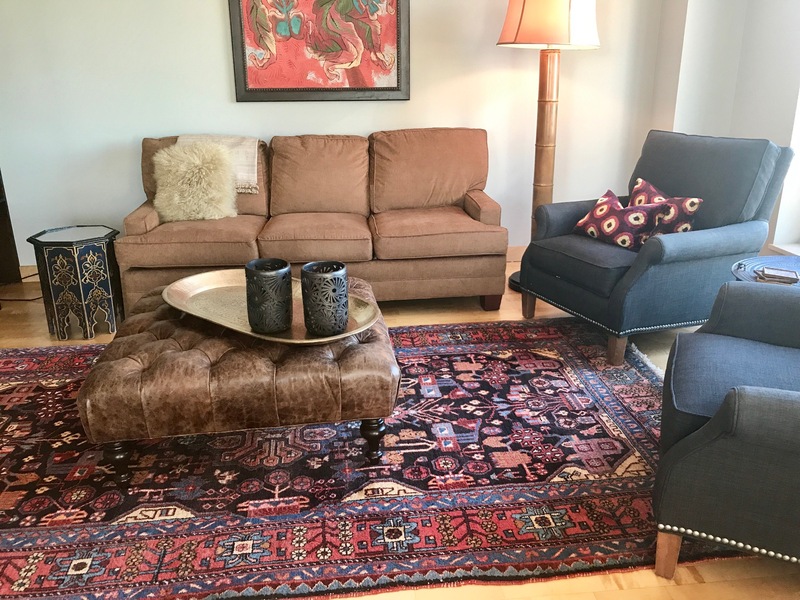 Alas, we get feedback from our customers that they prefer to be a little more “analytical” in their decision to purchase a larger handmade rug so over the years, this is the process we developed for helping our customers to select a handmade rug for their home. 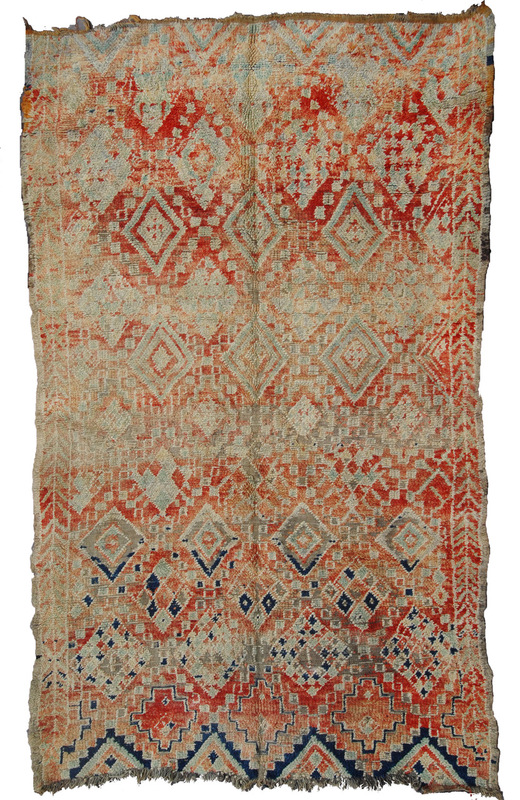 Buyers need to be a little creative when they include handmade rugs in their home décor because often rugs are made on looms that limit the width of the rug. Measure the length of your couch which give you the length of your rug. If the couch is situated along a wall, measure the possible width of the rug by measuring from the wall to the farthest point that you would like the rug to extend. Finally, measure from the wall to about six inches in front of the couch. My couch is along a wall and the couch is 80 inches long. I have two side chairs at one end of the couch and an ottoman as a coffee table. I could consider a rug that is a little shorter than the couch or a rug that is longer than the couch. 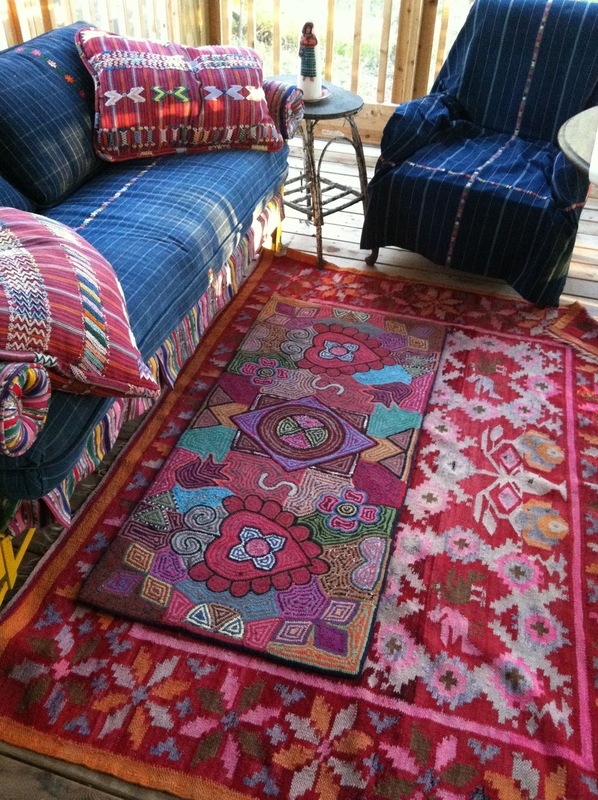 In my seating area, I can consider rugs that are approximately between 70 inches and 130 inches long. Next I measure the width of the area from the wall to the farthest point you would want the rug to extend. In my seating area that number is 120 inches. I then measure the distance from the wall to about six inches in front of the couch which is 45 inches. Therefore, I can consider rugs that are between 75 inches (120-45=75) and 120 inches wide. Ok, so here comes the fun part what if your rug is too big? That’s easy, if the rug is too wide, place the rug underneath the couch. If it is only a little too wide, place it under only the front legs, if it is much too wide, run it under the entire couch. If it is too long, place the front legs of the side chairs on top of the rug or place the entire side chair on the rug.If the rug is not quite big enough, leave space between the rug and the couch and the side chairs and the rug. The rug needs to be wide enough for the coffee table or ottoman to comfortably sit on the rug. If the rug is too small, consider layering rugs for a rich, indulgent look or consider putting the handmade rug on top of a sisal rug. This will add texture and length to the space. We took this photo of a friend’s living room in Meknes Morocco. Obviously, she loves handmade rugs and knows how to display them. Stay tuned for postings on how to fit a rug into your dining room and your bedroom.